cancer, such as androgen deprivation therapy, inhibit the production of these hormones to fight the cancer, thus causing bone mass to also decline. “Our own in-house evaluation, which includes DEXA scan, shows that our patients have a 43% chance of having bone abnormality at the time of their cancer diagnosis,” said Sigmund I. Tannenbaum, MD, FACS, a urologist with Alliance Urology Specialists. Because the urologists at Alliance Urology Specialists diagnose and treat prostate cancer, they are also taking a proactive approach to diagnosing and treating bone disease in men. “We watch bone density levels very carefully in our patients who are undergoing androgen deprivation therapy. The same is true for our patients who have other risk factors for the disease,” said Dr. Tannenbaum. The physicians of Alliance Urology Specialists diagnose male osteoporosis utilizing on-site dual-energy X-ray absorptiometry (DEXA) scanning for bone density. Treatments include oral medications and intravenous infusions of Zometa® or Reclast®. 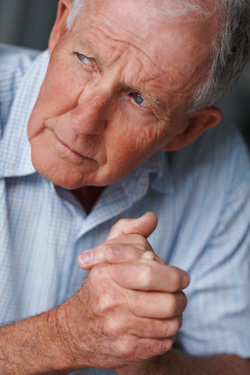 For more information about prostate cancer and male osteoporosis, contact Alliance Urology Specialists at 336-274-1114.